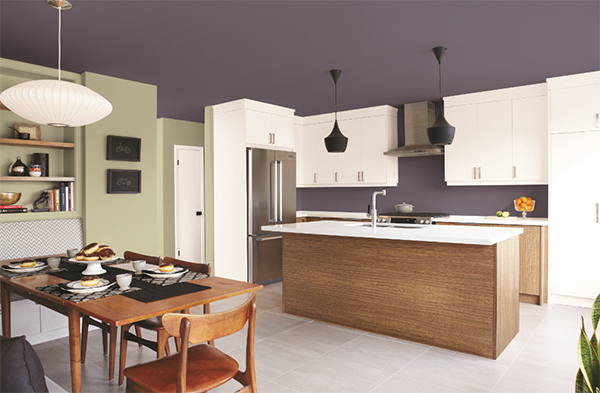 Glidden, Pittsburgh Paints and Olympic announced their selections for Color of the Year Monday (Aug. 29). The trending hues are described below. 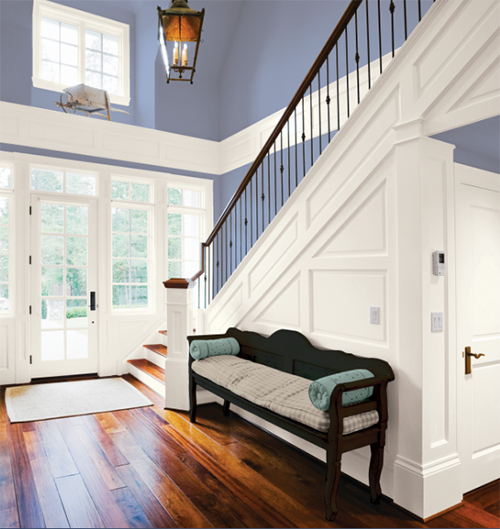 House paint brand Glidden tapped a “subtle, serene violet” as its top color choice for the upcoming year. Glidden revealed Byzantine Blue as its Color of the Year choice for 2017. Yeomans boasts the color’s versatility, noting that the shade appears to be more gray when paired with dark neutrals, yet it appears more bluish-purple when partnered with whites. It is recommended for use in both traditional and modern residential structures. Glidden paint products are available in Home Depot and Walmart stores nationwide. The color is recommended for modern and traditional homes. Pittsburgh Paints & Stains selected Silverado, billed as a "deep, mystic purple that pairs perfectly well with trending gray tones," for its go-to hue in 2017. PPG's color experts say growing consumer interest in spirituality, technology and time led them to the hue. Silverado was crowned Pitsburgh Paints & Stains' color of the year. "Silverado perfectly mimics the deep, mysterious yet organic tones of outer space," according to Yeomans. From front doors to children's rooms, the hue promotes "wellness and takes on a holistic feel," she adds. The brand is available exclusively at Menards stores in the Midwest. Olympic Paints & Stains aims to encourage contemplation and solace with its 2017 Color of the Year, Cloudberry. "Forget FOMO [Fear of Missing Out]; 2017 will be the year of JOMO, or the 'Joy of Missing Out'," according to Dee Schlotter, PPG senior color marketing manager, Olympic Paints & Stains. Schlotter recommends pairing Cloudberry with key neutrals to harmonize a room. The soothing purple will resonate among individuals who find joy in pulling back from social media, the news cycle and other forms of information "noise" that throw them off balance, Schlotter said. Olympic Paints & Stains can be purchased at Lowe's stores across the United States.